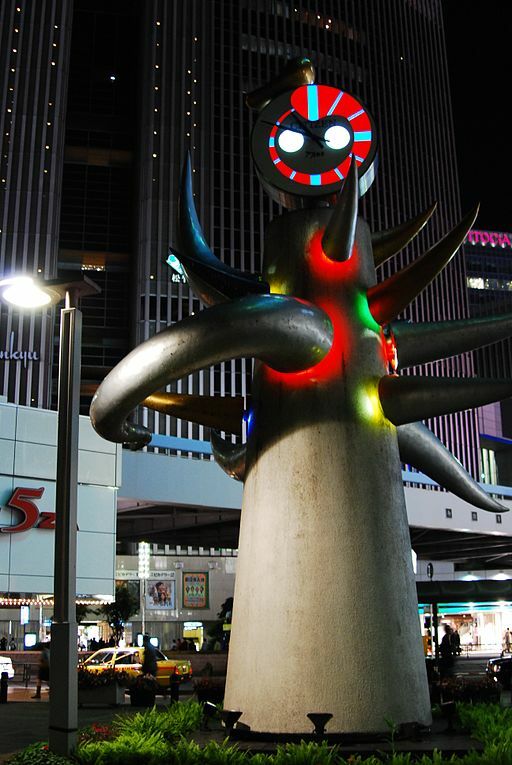 Taro Okamoto was a Japanese artist who created a sensation in the art world as one of the leaders of avant-garde. A very rare feat for an artist, Okamoto worked with two art movements that are polar opposites of each other to create pieces of art that embrace change. Okamoto first studied oil painting at the Tokyo Fine Arts School but a trip to Europe with his family brought him to Paris, the world center of art. At the University of Paris, Sorbonne, he studied ethnology which consequently extended to his art practice. Because of Pablo Picasso’s work, he pursued abstract art and became the youngest member of the group Abstraction-Création, producing several pieces of work in pure abstract. While in Paris, he also associated with the father of Surrealism, André Breton who praised his abstract paintings and invited him to participate in a surrealist exhibition, the first Exposition Internationale du Surréalisme. This marked Okamoto’s gradual moved from abstract art to surrealism. Aside from experiencing the rise of the major art trends of the 20th century, Okamoto also became involved in the intellectual movement in the fields of philosophy and anthropology which were reflected in the underlying aesthetics of his art, conveying freedom, dignity, and pride. While he had worked with both abstract and surrealist styles, he deemed them incompatible and so as a response introduced the idea of taikyoku-ism, an artistic principle that proposed the harmony of opposites. This can be seen in his works such as the Dawn (1948), Heavy Industry (1949), and Law of the Jungle (1950). When he returned to Japan, Okamoto endeavored to infuse the artistic freedom from the Western culture to the subdued traditional aesthetics of Japanese art. He produced art in in ostentatious and vibrant colors often showing fluidity and movement in strangely familiar shapes. He focused on creating public projects such as installations and murals in subway stations and government buildings like his Myth of Tomorrow that now commands the interior of the Shibuya station in Tokyo, hub of Japan’s youth culture. In addition to his artistic work, he also wrote publications and conducted lectures that raise questions about what is meant by art and creativity and what is avant-garde, working positively to inject a different and more modern perspective on the otherwise mundane nature of Japanese art. Okamoto also devoted time in “discovering” Japan, travelling far and wide and observing the landscapes of his country from an anthropological perspective. In this venture, he also made groundbreaking work in bringing the beauty of Jomon into the field of art when previously, the ancient traditional pottery was only regarded for archeological purposes. Among his notable works is the Tower of the Sun, a seventy-meter high monumental installation for the 1970 World Expo held in Japan. Expositions in general are meant to display benefits of the advancement in technology to mankind and embody modernism, and the ’70 World Expo was Japan’s way of demonstrating its economic growth and entry as a rising developed nation. Okamoto’s Tower of the Sun however, contradicted the expo’s very essence of advancement and take on cheap progressivism by constructing the it as an outdated primitive structure. Doing so had him succeed in undermining the history of world expositions and the notion of “urban landscape of the near future” they want to project. At the time of Taro Okamoto, his art was either ignored, misread or laughed at. He was deemed too eccentric for contemporary Japan at that time but he paid no attention and instead did anything he could to share his ideas to the public and his people. Okamoto suffered from Parkinson’s disease which hampered his many projects and died in 1996 at the age of 86. Following his death, appreciation for Taro Okamoto’s work took a more positive direction, driven by young people of later generations who derive hope and optimism from Okamoto’s life and works to deal with their sentiments of stagnation in present and real-time. 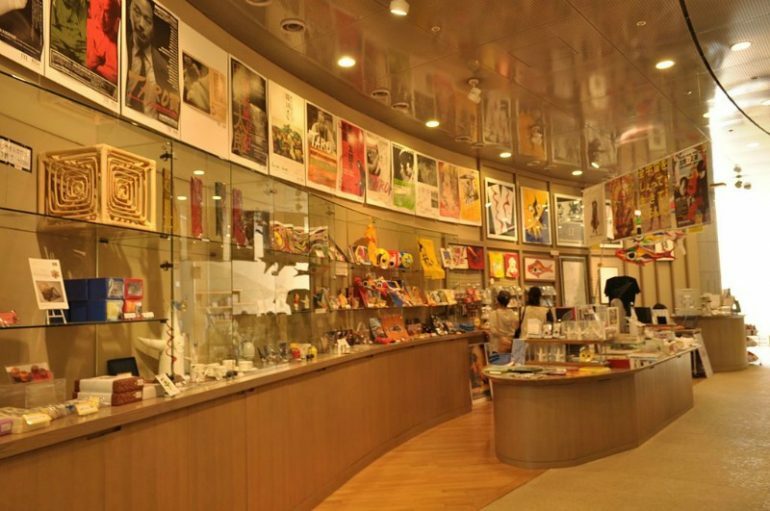 Since then, art exhibitions are regularly held and two museums, the Taro Okamoto Memorial Museum and the Taro Okamoto Museum of art to have been built to commemorate Taro Okamoto’s art and to foster inspiration for the people of Japan and the rest of the world.